Kinvey has launched a service designed to enable mobile developers to secure web-based applications with enterprise identity management systems. The goal of the service is to allow developers to devote time and resources to user experiences, while delegating security concerns to Kinvey. The service, Mobile Identity Connect, is made with developers in mind. 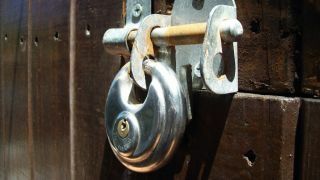 Organizations that create mobile web-based applications can use the service to add single-sign-on authentication and identity management without leveraging persistent connections to desktop apps, according to a Kinvey statement. Kinvey created Mobile Identity Connect to enable developers to focus on identity management, data services, business logic, and engagement services with one single tool. “Most enterprise-grade identity and single sign-on systems were designed in a pre-mobile world, and don’t take the unique challenges of mobile technology into account,” said Sravish Sridhar, CEO of Kinvey, in a statement. Last month, Kinvey launched support for beacon-enabled enterprise applications designed to improve the knowledge associated with proximity-aware mobile applications.